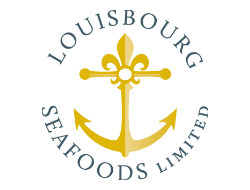 Louisbourg Seafoods is a family operated seafood business. James Kennedy and his wife Lori started their company in 1984. Former National Sea workers and Jim a former fisherman, both have deep family roots dating back hundreds of years to Newfoundland and St. Pierre & Miquelon, France. This rich history and experience passed down from generation to generation gives the company inherent knowledge in producing a seafood product with superior quality and excellence. Family and community are their core company foundations transferred from hundreds of years in culture and tradition. Currently, both Jim, Lori, and three of their six children work together in the family business. Activities such as supporting youth with school programs, partnerships with Cape Breton University in pursuit of knowledge, and working with all communities including First Nations validate their family-community relationships – just one of their many company values.